For months, the official death toll from Hurricane Maria was 64. It increased drastically to 1,400 earlier this year. Then, this week, the death rate went up again after George Washington University researchers released a new staggering study putting the number of deaths at 2,975. Asked about the rising death rate, President Trump defended the U.S.'s response to the disaster. The federal government did a “fantastic job in Puerto Rico,” he told reporters Wednesday at the White House. "We're still helping Puerto Rico," Trump said. "The governor is an excellent guy and he's very happy with the job we've done." He added that he thinks "most of the people in Puerto Rico really appreciate what we've done." San Juan Mayor Carmen Yulín Cruz was not quite so appreciative. 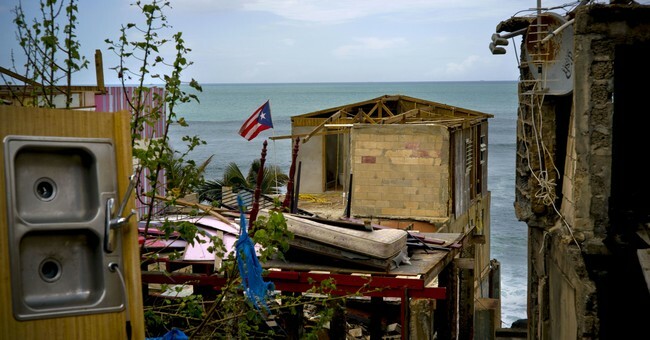 She is one of many critics who say the Trump administration's response to Hurricane Maria paled in comparison to the aid they sent to Texas and Florida in response to Hurricanes Harvey and Irma. "It's 2,975 people, and they're still calling it an estimate - 2,975 people that will never see the light of day, and many of them died because of what was done by the administration and that was silently approved by most of the political class in Puerto Rico," she claimed. "The administration killed the Puerto Ricans with neglect," she added. The real issue, Trump suggested, was Puerto Rico's poor infrastructure and lack of preparedness. Democrats like House Minority Leader Nancy Pelosi condemned Trump for the remarks. Hurricane Maria is now one of the deadliest disasters in U.S. history.